Astrophytum myriostigma is probably the most popular species of astrophytum. 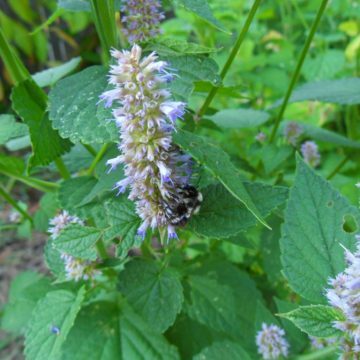 Its completely distinct look, as the name indicates, resembles a bishop’s hat. Although with age it takes on a more columnar appearance, reaching 2′ in height and 8″ in diameter. 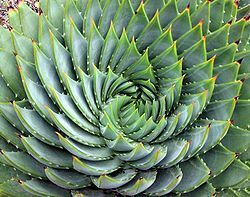 Like asterias, it is spineless, another feature which sets it apart from other cacti. 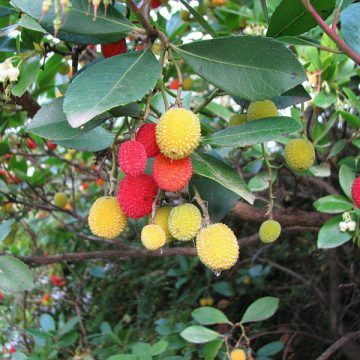 These seeds will produce ornamental plants with thick, green bodies that are heavily speckled with white. The root of the name astrophytum refers to the stars, as in the word “astronomy,” which reflects a somewhat star-shaped appearance that is characteristic of cacti in this genus. 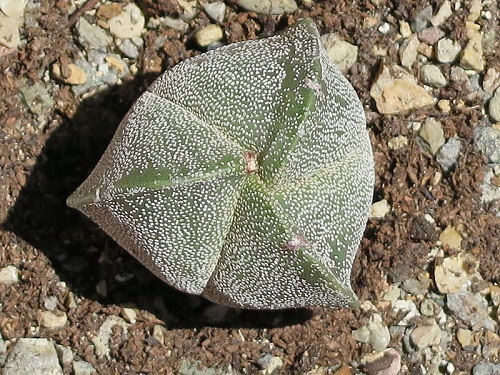 Astrophytum myriostigma is typically found at high altitudes in central and northern Mexico. 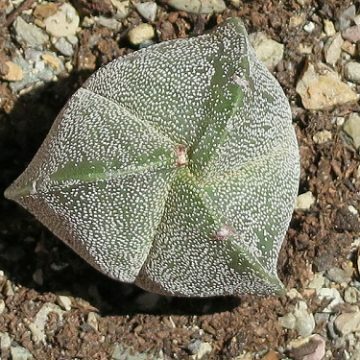 Astrophytum myriostigma var. “Tricostatum” is extremely rare and has only three ribs instead of five. It is among the most sought-after astrophytum forms. These plants can be unstable, and some may grow additional ribs as they age. This unpredictable factor makes old plants with three ribs very valuable, and it can be quite profitable if you raise these plants from seed. These will make an impressive addition to any serious cactus collection. 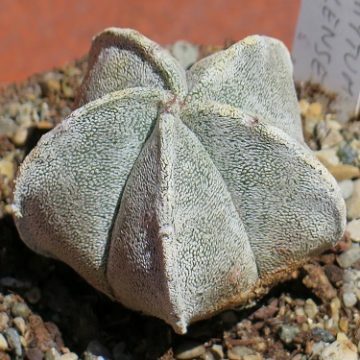 We also offer several other variants of astrophytum myriostigma. The “columnare” variety has a taller, more columnar stem. The ‘nudum” variety is characterized by a pure green stem.Similarly, “Quadricostatum” has only four ribs. 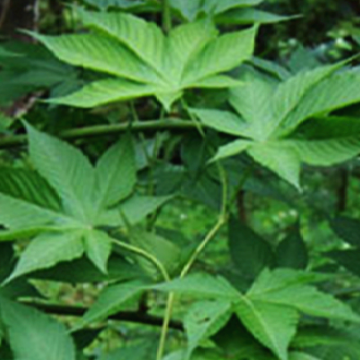 “Onzuka” is a coveted and highly ornamental Japanese cultivar. Astrophytum myriostigma is cold hardy to about 20 degrees Fahrenheit. For best results it should be given light shade, although it will tolerate full sun. During the summer it should be given moderate water and fertilizer, but it should be kept dry starting in October. An alkaline, porous soil will provide necessary drainage, and watering from below potted cacti so the water wicks up through the soil is recommended. Grafting will also help by lifting the cactus out of the soil where it may come into contact with standing water. Grafting on to faster-growing root stocks such as pereskiopsis, San Pedro and blue myrtle will also speed up growth.